Is it a hug or wrestling?? Today we went Jack's Christmas show for Holy Spirit school. It was really a great little show that they put on. Jack sang his little heart out. It was really sweet to see. Especially since we have been asking him what are they singing for the show and he would say "I don't know.". Meggan was even doing some of the motions with them because her show is tomorrow and they have some same songs. At one point Meggan waved to him. He did not wave back. Of course Meggan did not forget and asked him why he did not wave to her while he was singing. He said to her "Meggan, I had do the motions with the songs." TOO FUNNY! He even got to hold up a sign that said "Jesus loves you". They played instruments and recited a couple of poems. All in all, it was great. Of course this afternoon, the hat was used as a toy by our 2 class clowns, Jack and Ally. Meggan did not take part in these activities. Meggan and Ally "helped" me today with baking the gingerbread cookies. They had a lot of fun and I stressed a lot. You can imagine what Ally was doing. Flour everywhere and lots of attempts to break the dough I had just rolled out. But, it was cute that they wanted to help. Jack had helped me actually make the dough, but then he had to go to school. So, he did not get to do much with the rolling out of the dough. But, I am sure he will get in there and decorate the cookies with me tomorrow. So, the recipe of the day is Gingerbread cookies. This recipe came from my parent's neighbor, Joanne Kapps. When we got married Joanne had given me this recipe at our wedding shower. Along with the Raspberry Pecan bars (which I will put out here tomorrow). These are the best Gingerbread cookies I have ever tasted. I dare you to try them. 1) Cream butter and brown sugar together. 3) Gradually add the flour in. The dough should be soft. 4) Chill. Keep dough in refrigerator, remove 1/4 and roll to 1/8 inch thickness. 6) When they have cooled decorate with Royal Frosting. 7) In small mixing bowl put 1 1/2 cup Sifted Powder Sugar, 1 egg white, 1 tsp. lemon juice, 1/4 tsp. vanilla. Use electric mixer and mix until stiff. Use food coloring if desired. 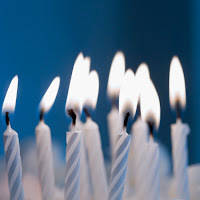 8) Be sure to keep the frosting covered because it dries out fast. ENJOY from our home to yours!! Here is the recipe for my mom's all time best Pistachio Bread. So, easy to make and it is absolutely scrumptious!!!! Mix ingredients together. Spray pan with Pam and sprinkle a little Cinnamon/Sugar mixture on bottom. Fill the pan 1/3 of the way up. Sprinkle more Cinnamon/Sugar mixture. Fill the pan up another 1/3 of the way. Sprinkle more Cinnamon/Sugar on the top. Bake at 350 degrees for 50-55 minutes. EAT THE CAKE!!! You will love it and never want to go back!! I am not sure why I do this to myself every year at this time. In my family it was a tradition that I think my mom started and maybe my Grandma Alice started it before her. Not sure on that one. But, my mom would spends days and hours baking up every cookie you could imagine for the Christmas Eve and Christmas Day celebrations. We would have Lemon Bars, Butter Cookies, Sugar Cookies, Crescents, Reese's Peanut Butter Bars, 7 Layer bars, Banana Bread, Pistachio Bread and the list goes on. At some point I don't even remember when it happened the torch got passed to me to be the "Cookie lady". I started my baking the week after Thanksgiving. And it seems like it has been non-stop since then. I have made: Lemon Bars, Reese's Peanut Butter Bars, 7 Layer Bars, Banana Bread, Pistachio Bread, Puppy Chow Chex Mix, Chocolate Covered Peanut Butter Balls, Butter Cookies, Peanut Brittle, White Chocolate Peppermint Bark, Fudge and Caramel Corn. Making it all is pretty time consuming. But, what makes doing it so satisfying is watching my family and friends enjoy what I have made. So, I figured I would start posting some of the recipes out here. This Christmas season start a new tradition with your family. Bake goodies for someone you know will enjoy them! 1) Stir margarine to soften. Mix in dry ingredients except brown sugar. 2) Add brown sugar, bananas, 1/2 buttermilk. Mix until ingredients are moist. 4) Bake at 350 in greased/floured pans. 30-35 minutes for mini loaves or 55-60 minutes for larger loaves. NOTE: You don't have to use Buttermilk. You can use Skim Milk and add a tablespoon or 2 of Lemon Juice to it. Then let it sit for about 15-20 minutes. It tastes the same as the original recipe. Tonight Chad put Ally in a pair of Jack's old PJs. I had to take pictures because she thought it was sooo funny wearing them. Plus, she kept wanting to look at the pictures of herself. Enjoy. And yes one of the pictures she is flexing her muscles. :) We did lots of climbing while wearing this. Now just for the record Ally has a lot of PJs, so why Chad picked these ones out who knows. But he laughed a lot over it. And of course Jack then put his Superman PJs on to match her. :) Meggan of course could care less. She wore one of her princess nightgowns as usual. It seems that dear little Ally has taken after her Nama, Great Aunt Denny, Great Aunt Eileen, Great Aunt Kathleen and Great Grandma Alice with an addiction to shoes. How is it that a little girl not even 2 could love shoes soooo much!! Anyway, she also will take and put on all of our shoes and wear them around the house. She doesn't care if they are big. She knows it is funny! Just one of the many reason we love her!! 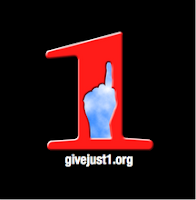 Please check out this website for info on the Give Just 1 Day project. I thought this was something great and positive that we should all do! Today would have been my sister, Meggan's, 32nd birthday. The kids and I will be celebrating her life by making some cookies and probably Banana bread. Still hard to believe that she would have been 32 this year. 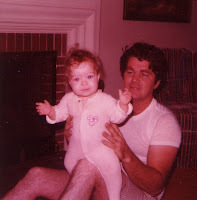 I know she is watching over and laughing at how our little "jumping beans" can be very much like she was. 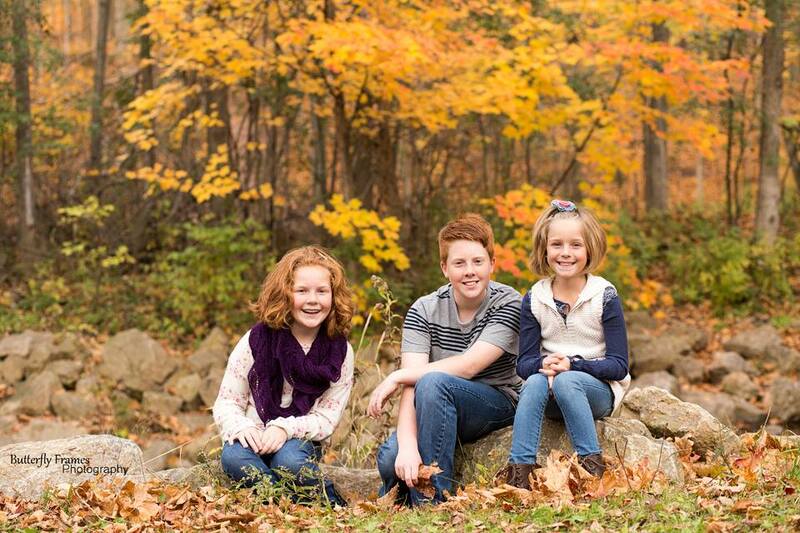 I thank god that my kids have embraced her life and want to learn more about her. Mom and Dad we are thinking about you today!! Love ya! Hello to all! We have dug ourselves out of the snow finally and are now wondering when the next snowfall will come. They say we will get hit with some snow tomorrow. So, we will see how that plays out. Today I was babysitting my neighbor and friend, Christie's, son John. We decided to put on a concert for Christie when she came home. They practiced with musical instruments we had and really were so excited. They even hid so when she came over they jumped out and surprised her. We sang Jingle Bells, Twinkle Twinkle Little Star and finally Rudolph the Red-Nosed Reindeer. It was quite fun. The chairs that they are standing on was their idea as a way to have a stage. Such imaginations!! Too funny! Ally had so much fun and was not happy when the kids left. But, she got over it pretty quick because she fell asleep under the Christmas tree. She will fall asleep wherever her little head hits the ground. One minute she was looking at the tree and the next minute she is out. I have a feeling this is not the last storm watch we will be seeing. Everyone tells me that this year they have already gotten record snowfall. LUCKY ME! Let's see if the presents under the tree in our front yard will be under snow by the end of this storm. What do you think?? So, every year Office Max does this thing where they let you upload pics and turn it into an Elf dance. I think that this is one of the funniest things ever. So, I created ours this morning. Click here to enjoy and get a great laugh! Stacy and Dan also did one that I thought was quite funny too. Click here to view theirs. Aaron just sent me his family one too which I thought was great. His is to the Charleston music. Click here to view it. Thanks for all the well wishes for him! He really appreciated every one's thoughts and prayers. Am I going to lose my eyeball??? Well last night we thought we were going to have a low key night. We were going to read books after baths and showers and just relax. So, there were are getting Jack dried off and dressed. He went to put his arm out on the bed and at the same time Meg decided to push him and goof around. Well he missed the bed and hit his head on the bottom of our bed foot board. Which of course has a piece of decorative metal (that is smooth) that runs across. He pulled his head up and there we had a big opening over his eye. We could not tell how big of a cut it was until the blood stopped. Once it stopped we attempted a butterfly band aid, but I thought it looked pretty deep. So, I had my friend Christie come over and she said Yeah he needs to go to the hospital. 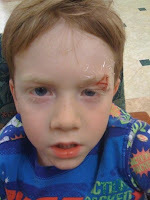 Sure enough we went to the hospital and they had to give him 4 stitches. 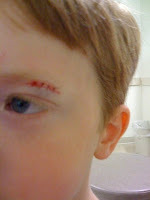 Jack had 2 concerns: 1) "Are they going to remove my eyeball?" and 2) "Don't let Meggan touch my other eye because I don't want her to hurt that one." What has Papa taught you? This face Ally made over the weekend with my folks. My dad makes a lot of funny faces. But, this face is one that Meggan also used to make as a baby. How do they make their lips do that??? Ally is definitely taking the role of class clown in the family. No matter how mad you are at her she does something that makes you laugh right away. Chad says he will break her of this silliness. We will see who will win! So, she looked for gingerbread houses and could not find them anywhere. She searched with them and couldn't find ones put together. Must be the economy and poor market as my neighbor, Nikki, said. :) I was able to find gingerbread trees instead. So, on Sunday morning I put the trees together so they could decorate them before our drive home. Before Nama got home from church we put all the decoration items in bowls so they could see everything they had to work with. The kids were very excited and could not wait for Nama to get home. Ally was mad because I did not get one for her. But, she is so wild that she would have made more of a mess than Jack and Meggan did. And they made quite the mess. Jack's hands were green from the frosting. They definitely made their own creations! Lots of sprinkles, marshmallows, raisins, M&Ms, coconut and frosting! We used green frosting since it was trees we were decorating. They did a great job. They even put some puppy droppings (made out of raisins) by the tree to symbolize Maverick's potty training. Ahh yes... How funny! I think they covered every possible square inch on the cardboard. They even put frosting on the cardboard and then sprinkled coconut on that for the grass with snow on it. So, cute!